Moving home may be something you have never done and so are not sure what to expect. You may have talked to people about it, seen removal on TV, and so on, but have never really been engaged in one. If this is your case, then you may not know all the advantages a new location can bring. House removals can allow you to have a new abode that is nicer, fancier, larger, cheaper, etc than your current abode. It can come with new facilities and be closer to important people and places. Office removals can be a great way of improving your business by having more space, necessary features and in prime location. Moving abroad is a big step but can radically change your life for the better. If you want to see how a move can benefit you and to see how a removals company in Leytonstone, E11 can make it happen, call Moving Service on 020 8746 4402. Moving To A New Area? This Is The Area For You! It is an area in East London and in the Borough of Waltham Forest. It is a suburban place that is seven miles from charring cross. 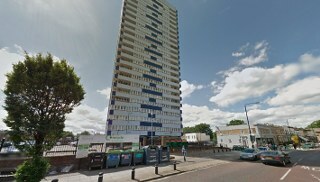 It uses the E11 and E15 postcode areas, which place it next to E76, E12, E13, E16, E20, E18, E17, E10, E9 and E3 areas. Areas close to this district include Walthamstow, Epping Forest, Wanstead, Wanstead Flats, Forest Gate, Stratford, Temple Mills and Leyton. High Road Leytonstone is an ancient pathway that has existed before the Roman Occupation. A Roman cemetery was discovered here. An obelisk restored in 18th century is built on a Roman milestone. The M11 is the main road through the area, with a nearby tube station available for easy access around London. Epping Forest is close to the area, allowing visits to the ancient woodland. Dagenham & Redbridge FC are based here. Notable people who have lived in the area include Sir Alfred Hitchcock, Richard Ayoade, David Bailey, David Beckham, Fanny Cradock, Sir Derek Jacobi, Tony Robinson, Jonathan Ross, Damon Albarn, Steve Harris and Morell Mackenzie. When it comes to removals services in Leytonstone , E11 it can be the solution to the entire challenge. We at Moving Service can provide a man with a van to tackle all of your moving chores. Our professional movers will arrive at your address armed with the knowledge and equipment necessary to get everything done. They will be able to help you pack goods and have all the necessary materials. With an abundance of boxes and wrapping, along with experience, your goods will be ready and safe for the move. Our team has suitable moving vans so that they can speedily get your goods to your new address. Our team is also strong and careful, so furniture removals will be done without any delay or damage. You can book all of this when you call, but we offer more. We can clue you in on all aspects of removals, so that you can learn how to tackle them yourself. Our information will put you on the right path but our services are always available. You can book our team to tackle the whole move or just certain parts, whatever you need. You can find out more about our van and man services in E15 area, so book them and get a free quote when you call on 020 8746 4402 today.